As an increasing number of Americans age, the gap between young and old becomes larger and larger. And with it, comes gaps in knowledge of each other’s generation. Intergenerational programs offer great ways to help bridge these gaps, encouraging people of all ages to connect with one another, build meaningful relationships and work together on programs that help entire communities. These programs not only offer many benefits, but they are easy to adapt within your senior living facility. Intergenerational programs bring together seniors and young people to build unexpected friendships, learn new skills and encourage community service. Intergenerational programs can range from planned, all-day activities to casual, hour-long discussions. Examples of intergenerational programs include teens pairing with seniors to give tech lessons, providing companionship or assisting with everyday errands, or seniors mentoring youth, offering childcare services or teaching oral history. These programs can also bring both sides together to work on community service projects, such as cleaning up a local park or raising funds for a local charity. Intergenerational programs offer numerous benefits to people of all ages. These programs encourage relationship building and engagement in the community, which can help prevent isolation and depression in seniors. According to Generations United, intergenerational programs even offer health benefits to seniors. Older adults who work regularly with young children burn more calories, have fewer falls and perform better on cognitive tests than those who don’t. These activities also provide opportunities for seniors and their younger counterparts to interact with each other and gain a better understanding of each generation, discouraging ageism toward seniors and teaching teens how to speak to and build respect with their elders. These dynamic partnerships can also provide kids with a role model, and participating in these programs regularly can keep them out of trouble. Intergenerational programs that double as community service or volunteer projects can also help teens earn credits for school or explore potential career opportunities. The options for incorporating intergenerational programs into your senior living community are endless. Building weekly or monthly programs into your senior living facility builds routine and stability for both age groups and encourages relationships to grow over time. To bring intergenerational programs into your facility, contact the guidance counselor at your local schools or send newsletters to your residents’ families. Many family members and grandchildren would love the chance to share in these activities and provide a loving environment to seniors who may feel isolated. Even seniors who participate in activities and have family members close by will benefit from interaction with local youth. Reach out to a local high school class to see if they would be willing to teach basic computer or mobile device skills to seniors. Set up monthly oral history lessons from seniors, with a theme or topic each meeting. Invite local organizations to hold meetings in your space, giving seniors the opportunity to stay engaged in the community while feeling a sense of accomplishment. Partner seniors with youth to offer mentoring or tutoring. Schedule teens to stop by your senior living facility each week to spend time with seniors to help them with simple tasks, such as running to the post office or drugstore. Consider adding a childcare space to your facility. This interaction with young children has been shown to improve seniors mental and physical health. If you’re still at a loss of what programs to offer in your senior living community, just ask. Asking seniors what they need help with or what activities they would like to participate in will make them feel valued, and give you some fun ideas for intergenerational programs that you can adopt in your facility. As the needs and expectations for senior living communities grow, so do the needs for the facilities they run in. In order for a senior living facility to encourage participation in intergenerational programs, the facility must allow for multiple uses and offer a comfortable environment for people of all ages. 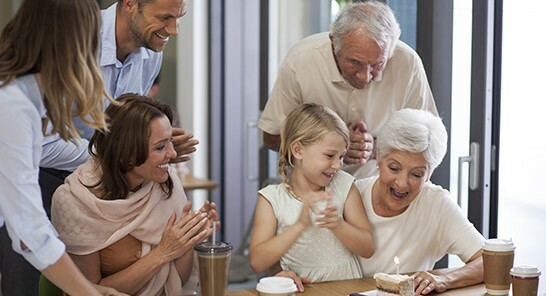 Considering factors like facility efficiency, room for expansions or upgrades, evolving technology, and recreational opportunities are all important when deciding to add intergenerational programs in your senior living facility. If you’re looking to adopt some of these programs in your facility, contact us at 920-969-9344 to see how we can make your facility friendly to all generations.